Set against the backdrop of North Dakota’s oil boom, two very different mothers form an uneasy alliance to find their missing sons in this heartrending and suspenseful novel from the Edgar Award–nominated author of Garden of Stones.The booming North Dakota oil business is spawning “man camps,” shantytowns full of men hired to work on the rigs, in towns without enough housing to accommodate them. In such twilight spaces, it’s easy for a person to vanish. And when two young men in their first year on the job disappear without a trace, only their mothers believe there’s hope of finding them. Despite reassurances that the police are on the case, the two women think the oil company is covering up the disappearances—and maybe something more.Colleen, used to her decorous life in a wealthy Massachusetts suburb, is determined to find her son. And hard-bitten Shay, from the wrong side of the California tracks, is the only person in town even willing to deal with her—because she’s on the same mission. Overtaxed by worry, exhaustion, and fear, these two unlikely partners question each other’s methods and motivations, but must work together against the town of strangers if they want any chance of finding their lost boys. 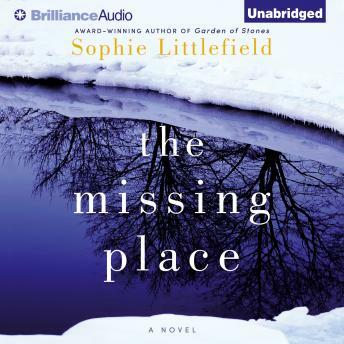 But what they uncover could destroy them both…Sure to please fans of Sandra Brown and Gillian Flynn, The Missing Place is a moving chronicle of survival, determination, and powerful bonds forged in the face of adversity.